Choosing the right material for your deck is a process that needs knowledge. 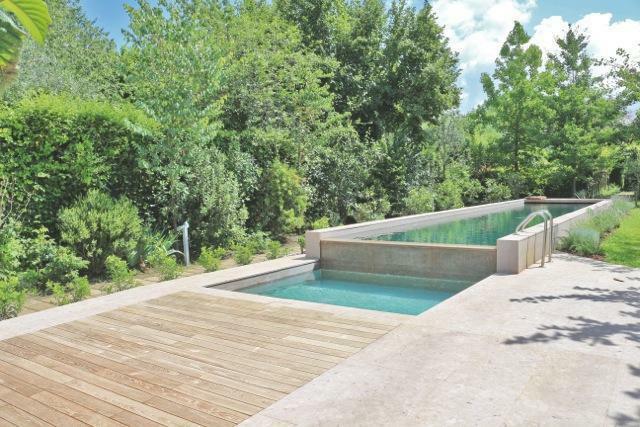 If we’re opting for a wooden deck, first consideration is to go for a noble wood like IPE or Teak for example. We’re aware we’re far from talking about a cheap solution, but we even know that it is the best investment we can do on our deck’s longevity. It’s not really great to have your deck installed, looking gorgeous soon after, and after a few weeks comparing it to a rally truck! Wood is magic and its warmth cannot really be re-created with any other material! You just need to be careful to choose the right one and install it the right way. After being worked, wood goes on living. Maintenance required is both for structural and esthetic reasons. Composites is a totally different speech... 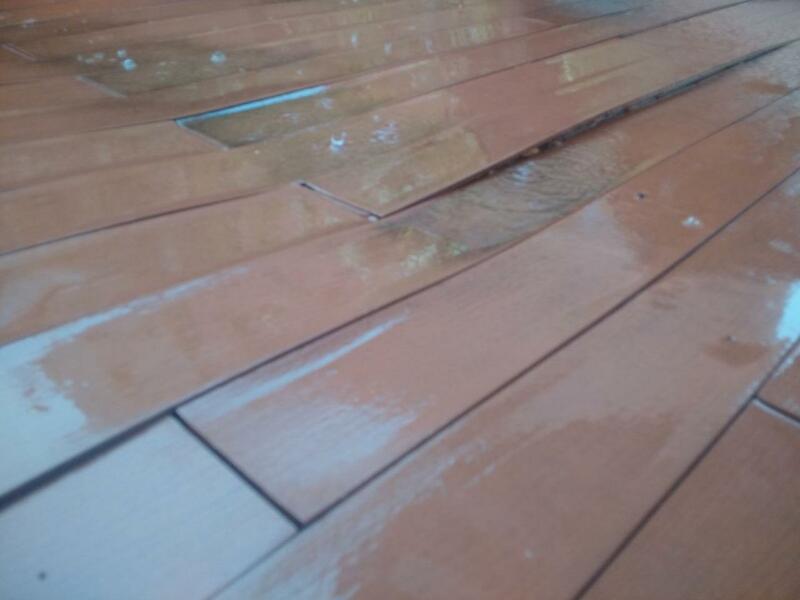 Normally they are called WPC (wood polymer composite) and here you really have not to run the risk to be fooled by commercial ads saying: NO STAIN, NO MAINTENANCE! Just Wrong... or better, it needs explanation. 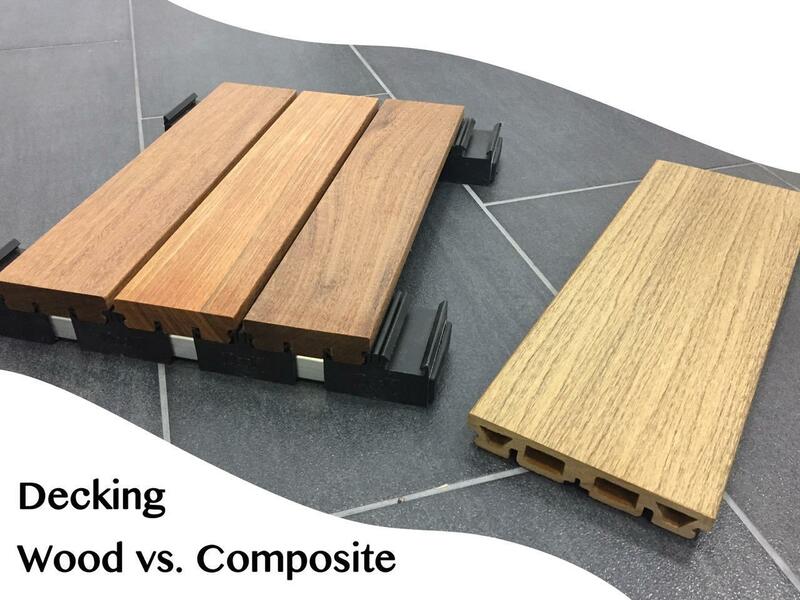 Standard WPC composite decking boards are made of recycled polymers such are PE or HDPE, which are no more and no less than recycled plastic bottles, bags etc.etc. And the boards made out of those polymers are subject to extremely bigger movements and torsions if compared to the not recycled PVC (which can be recycled, is more valuable and doesn’t move as much!). This is what we need to know when we approach the idea of buying a composite product, especially if you’re willing to install it... a material that moves a lot needs a master deck builder to deal with, otherwise you just trashed your money. In the compound/mixture of the standard wpc decking boards there is even a percentage of natural product, the most common is SAWDUST! Wow... sawdust! When dropping oil on the floor, my grandmother used to put sawdust on top in order to absorb it and better clean! IT ABSORBS A LOT... really a lot! So again be prepared to dimensional changes according to the percentage of sawdust inside... this again it’s not a that bad thing if you know it before you get it installed (to do it the right way). 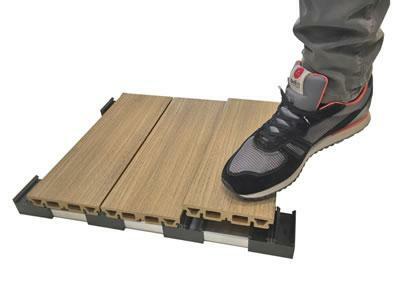 Duro Composite, the new generation of decking composites! Consciousness about all the limits linked to WPC/BPC composites lead the italian team of iDecking Revolution to develop a new material to fix the major problems coming from traditional composites! Its name is DURO, the new material made of RICE HUSK (skin of the rice grain) and PVC (not recycled). Yes, you got it right... RICE HUSK, a by product that would be otherwise burnt and create CO2 is given a much more noble second life into decking boards with incredible structural performances. It has to be compared to a noble wood other than common composites. Rice grows into water, and the skin of the rice protects the grain till the moment it’s ready to blossom! NATURAL HYDRO REPELLENCY, in fact it is only the micro surface to absorb. The perfect contrary of sawdust. This means that after years we are gonna be able to restore our decking and bring it back brand new... if there is a resistant stain, we can sand it and bring it back brand new again... without the need to change it. The expansion coefficient of each board is just 1mm per running meter, and only in length! Another reason why DURO has no competitor is for the REVOLUTIONARY installation systems patented to install it! 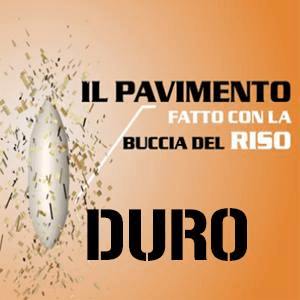 in fact, the market is full of very nice boards but they are still tied to face fastening or hidden screwed clips... DURO CAN BE INSTALLED WITH ZERO SCREWS... just with he pressure of your feet! This has a HUUUUUUUGE impact on installation time and overall lasting of the product! EasyClick: Decking has never been faster, easier, stronger than this! EasyClick system by iDecking Revolution is: ZERO SCREWS, 5 Times Faster to install, EcoFriendly, Low Maintenance and most of all MADE IN ITALY. The system can be combined to both iDecking DURO composite made of Rice Husk or Traditional Woods such as Teak and IPE. EasyChange: Imagine to be able to replace/remove every board from no matter where in the deck without ripping off all the other boards... just one! A deck is something you are not going to do every single year, that’s why we thought this could be helpful for your considerations.